Our Mobility solutions help organizations unwire operations. With these solutions, our customers can integrate enterprise mobility into your current applications or business processes. In a fully connected world, our customers can use our mobile solutions to deliver secure, real-time, and business-critical information – anytime, anywhere, on any mobile device. 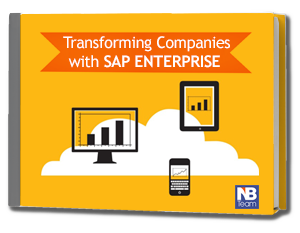 • SAP Mobile Platform – Quickly develop mobile apps that provide your business users with secure access to data, systems, and processes, on any mobile device. • SAP Afaria – Centrally manage and scale your apps with one of the industry's most powerful and flexible enterprise-class mobile device management and security solutions. • SAP Fiori – a collection of apps with a simple and easy-to-use experience for broadly and frequently used SAP software functions that work seamlessly across devices – desktop, tablet, or smartphone. • SAP Mobile Services – Engage consumers with one connection for mobile messaging, content delivery, and mobile commerce services. Virtualize, accelerate, and transform with mobile!